MIFFONEDGE volume 6 features audiovisual works that immerse the senses and invite you to step outside your everyday perceptions. 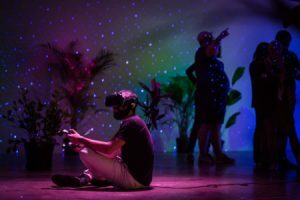 Virtual reality works by VJ Suave, and meditative nature works by Susan Bickford are merged together to create this interactive exhibition! Come explore.